As more IT organizations begin to shift their identity management infrastructure to the cloud, the competition for SaaS identity management solutions is heating up. In the web application single sign-on, also known as SSO, landscape, it is often Azure® Active Directory® vs Okta®. In fact, Microsoft and Okta have a little bit of history with each other with some strong words and accusations going back and forth over the years. 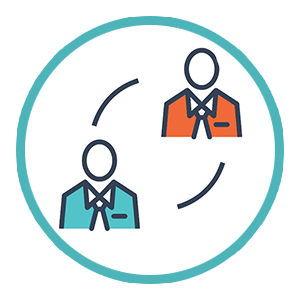 While they may be considered competitors where they overlap in SSO, they diverge down different paths beyond these similarities. 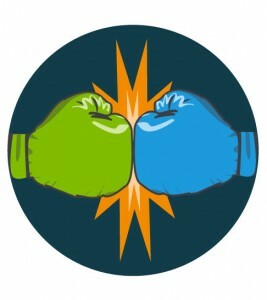 After the head-to-head competition in web application single sign-on, it is similar to comparing a hammer and a screwdriver. They are separate tools that were designed to serve different needs for IT admins. 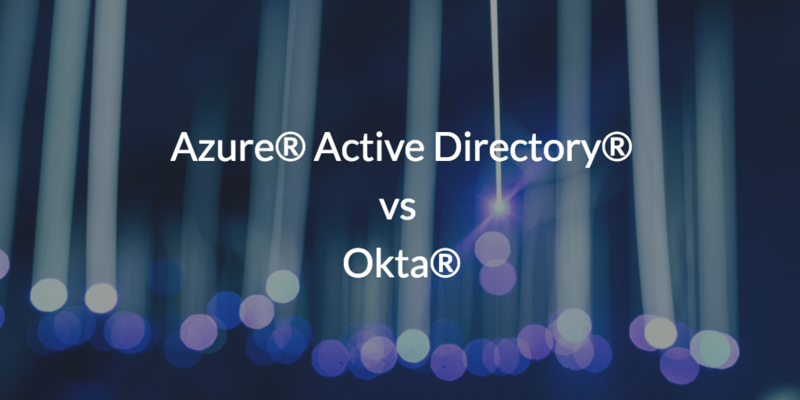 Today, we are going to compare Azure Active Directory vs Okta and explore where their competition lies. Many IT organizations are confused by the similar names and believe that Azure Active Directory is the cloud-based directory services replacement for Active Directory, but this is not the case. Active Directory will still be hosted on-prem, while Azure AD is designed to be the cloud-based counterpart for Azure infrastructure in the cloud. This is demonstrated by the fact that Azure AD doesn’t have the capability to authenticate users to on-prem or remote systems including Windows® (sans Windows 10), Mac® and Linux® machines, cloud infrastructure hosted at AWS® or GCP™ (Google Cloud Platform), Google Apps (now called G Suite™), and anything else that operates outside of the Microsoft Azure ecosystem. The primary role for Azure AD is to be the user authentication infrastructure for Azure, Microsoft’s cloud computing service that competes with AWS and GCP. It is highly tailored for Windows systems and Windows-based infrastructures, with Microsoft’s goal to shift their customer’s infrastructure from on-prem into their data center. This means that, while Azure Active Directory may be a significant stride towards a cloud-based directory, it still ties organizations to Microsoft. As a result, most organizations use an on-prem Active Directory instance to manage their on-prem infrastructure, while still managing an additional directory instance (Azure AD) for their Azure cloud infrastructure. Falling under the broad Identity and Access Management (IAM) realm, web app SSO solutions are entering the forefront of IT admins’ minds with the migration to the cloud. Okta, which went public in 2017, is one of the first to come to mind as they were one of the first solutions on the market. 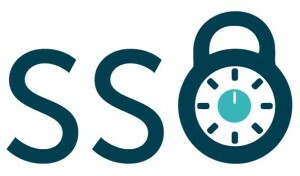 Web app SSO solutions, commonly referred to as first generation Identity-as-a-Service (IDaaS) platforms, are quite popular due to the wide use of web applications such as Slack, GitHub, Salesforce, and thousands of others. While Okta is a leading SSO platform, it often requires a core on-prem identity provider, which historically has been Active Directory. While this multi-product approach may work, it certainly creates challenges such as high cost amongst other things. Now that we understand that Azure AD is really just an SSO platform and user management system for Azure and Okta is a web app SSO provider, we can investigate where these two resources collide. The overlap between the two is due to the fact that Azure AD, unlike Active Directory, has built in web application SSO capabilities. In fact, Azure Active Directory rivals strong web app SSO providers, like Okta, in the marketplace and has caused Google to take them on with their Google Cloud Identity management solution as well (not to mention that Amazon has recently gotten into the web app SSO game too). Okta, of course, primarily focuses on web app SSO, so it makes sense that IT admins would compare Azure AD and Okta, although Azure ADs services extend beyond SSO. As many IT admins realize rather quickly, Azure AD and Okta are only pieces of the overall identity management puzzle that they are trying to solve. With the desire to move to cloud identity management, the place that IT admins need to start is finding a replacement for Active Directory, or a core-identity provider in the cloud. Once the foundation is set with a cloud directory, it can make sense to consider a web app SSO solution, or depending upon the organization’s needs, it may not be necessary. We are reinventing the approach to the cloud directory service with JumpCloud® Directory-as-a-Service®. This cloud identity management platform integrates web app SSO with securely managing users to systems, web applications, WiFi networks, legacy applications, as well as cloud or on-prem files—all using one cloud directory. If you are interested in learning more about Azure AD vs Okta and the role that SSO plays in the overall IAM strategy for an organization, drop us a note. You can also schedule a demo, or sign up for a free account to learn about how JumpCloud can replace web app SSO solutions and Active Directory altogether. Your first 10 users are free forever.